Brazil is both the world's largest producer and consumer of heart of palm. It makes up 75% of this US$ 500 million, 150 million ton market. Until recently, the industry's growth has relied on the extraction of heart of palm, also know as pupunha, from natural forests, causing extensive deforestation. The unquenchable demand for heart of palm became so intense that some heart of palm species almost went extinct. Today, other alternatives to these vulnerable species exist, like the Bactris gasipae, commonly called the peach palm, but the sector is still on its way to achieving long-term sustainability. Floresta Viva is a Brazilian company producing food and timber products using syntropic agriculture principles and sustainable agroforestry systems. Its flagship product is heart of palm, which is planted with nitrogen-fixing legumes, grasses, cereals and other plants to regenerate soils and boost yields. Unlike existing monoculture and chemically intensive plantations of heart of palm, Floresta Viva is developing a groundbreaking agroforestry system to grow organic heart of palm, commercialized through their two environmentally-conscious brands. Since its acquisition by the Floresta Viva team in 2013, the 1,000 hectares of São Pedro Farm that had previously suffered from deforestation have been restored and preserved following agroecological practices. Located in the ecologically important Vale do Ribeira in São Paulo State, the company is committed to preserving 800 hectares of native Brazilian Atlantic Forest. 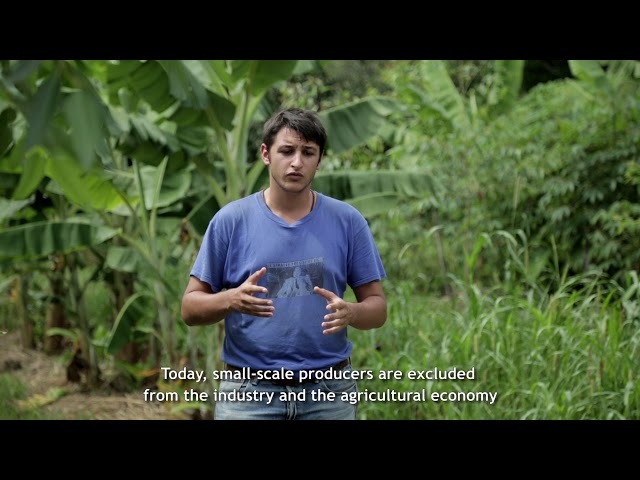 Since August 2017, Moringa Partnership, an Initiative 20x20 financial partner, has financed the scaling-up of the farm's operations alongside another impact investor and strategic partner, Brazilian film director Fernando Meirelles. The next stages of investment will focus on the development of a bottling facility and of an extensive outgrower network that will help local small farmers adopt the company's restorative agroforestry model.